The area around the old RTD Market Street Station that closed in May of 2014 is getting a makeover. Plans to redevelop the site include mixed-use comprised of office space, retail, restaurants, residential apartment units, and underground parking. 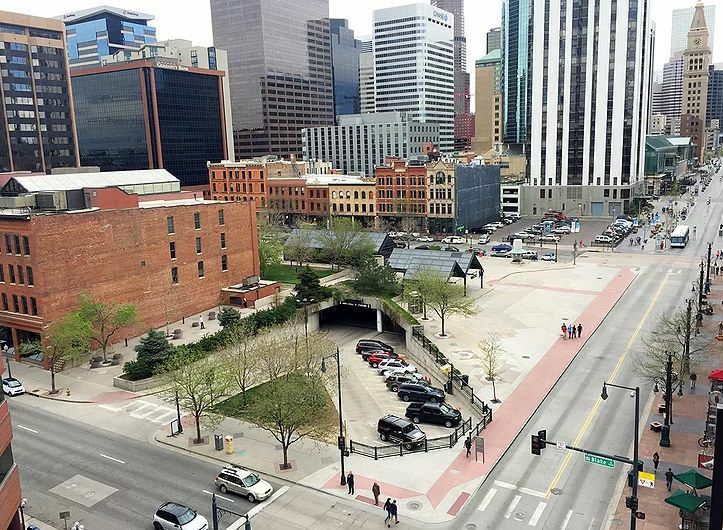 The project started in October, 2017 with barriers being placed around the perimeter of the site located between Blake and Market Streets and 16th and 17th streets in lower downtown Denver. Construction of the mixed-use development at 16th and Market has been progressing on schedule. Kiewit Construction has now commandeered the lane closest to our Blake Street front doors for their construction vehicles and material deliveries. Please use caution in the area when approaching the Blake Street offices of RTD. Please use the constructed walk-way tunnel nearest the intersection of 17th Street and Blake Street. This tunnel will deliver you safely to our ADA-access door as well as our front main doors. Concrete barriers have been put in place to eliminate illegal street-crossing ("jaywalking") as a safety precaution given the number of large construction vehicles in the area. Please use caution when approaching and entering the RTD Offices. Barricades are going up and construction workers and contractors are on site at the 16th and Blake location. Please use caution when approaching the area. 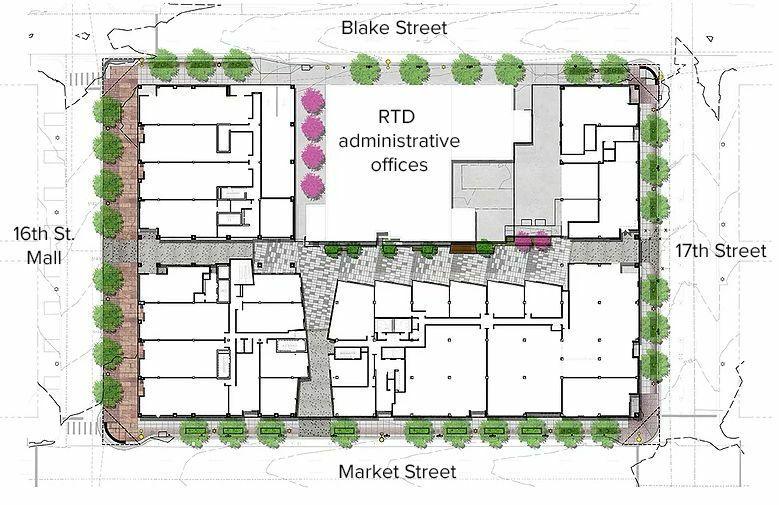 With new development, RTD’s administrative offices will remain in the same building, however the building street address has changed to 1660 Blake Street, Denver, CO 80202, effective October 27, 2017. We will continually update this web page as site development takes place.